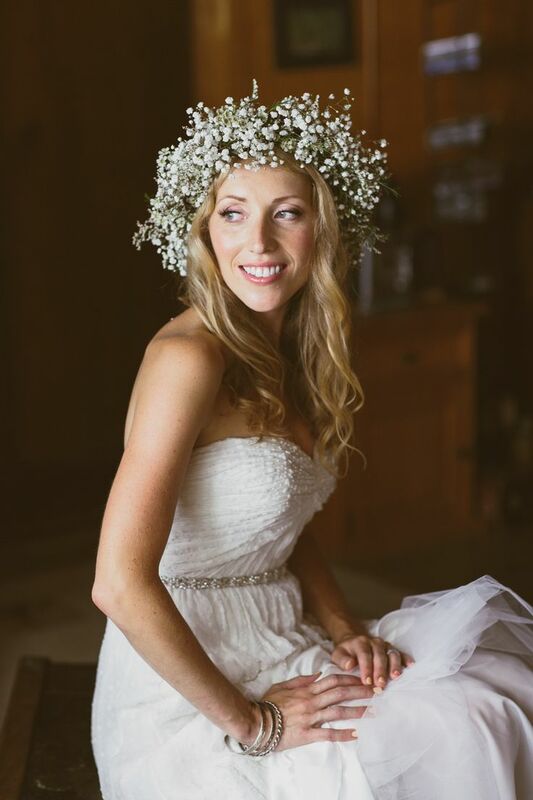 Autumn is one of the most popular times of year to get married, not to mention one of the most beautiful. 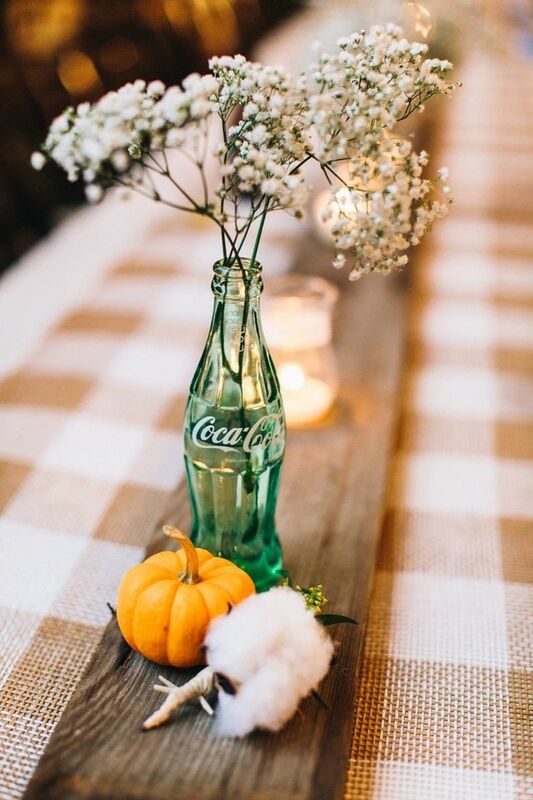 Enhance the natural beauty of a fall wedding by selecting a location as special as the season. 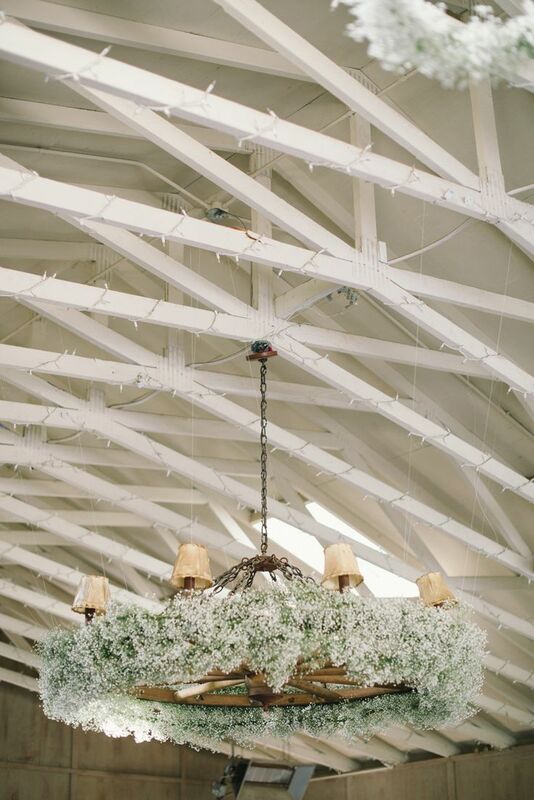 Nothing says “fall wedding” quite like a rustic barn in the countryside. Think apple orchards, pumpkin patches, and the glorious colors of fall trees. This type of setting captures the special cozy feeling of fall when the crisp chill is in the air, but the sun still feels warm on your face. 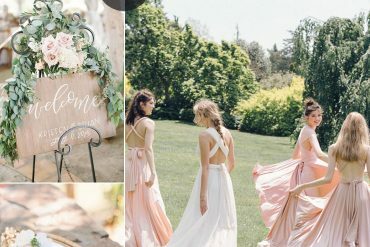 Be inspired by this beautiful rustic fall wedding in a peach orchard in shades of peach and used baby’s breath as a main flowers — see full post in a real wedding – a cozy fall wedding in the peach orchard. Thanks to Mary Margaret Smith for beautifully wedding photos. 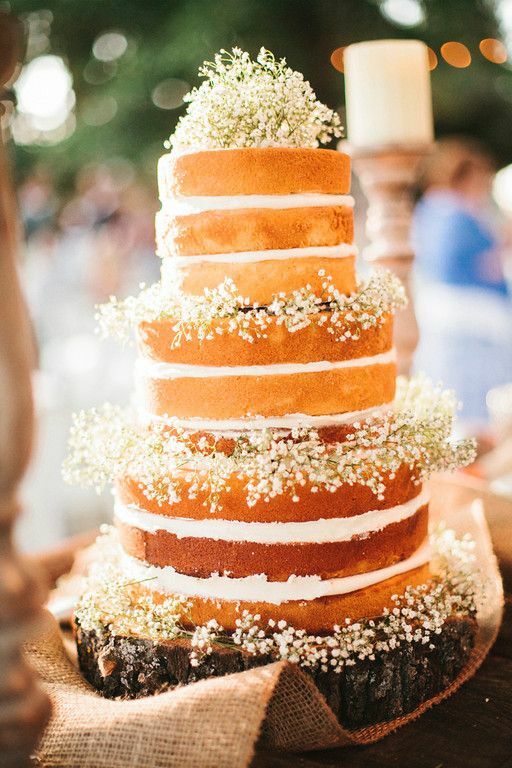 For the cake, try another fabulous new trend in weddings-the naked cake. 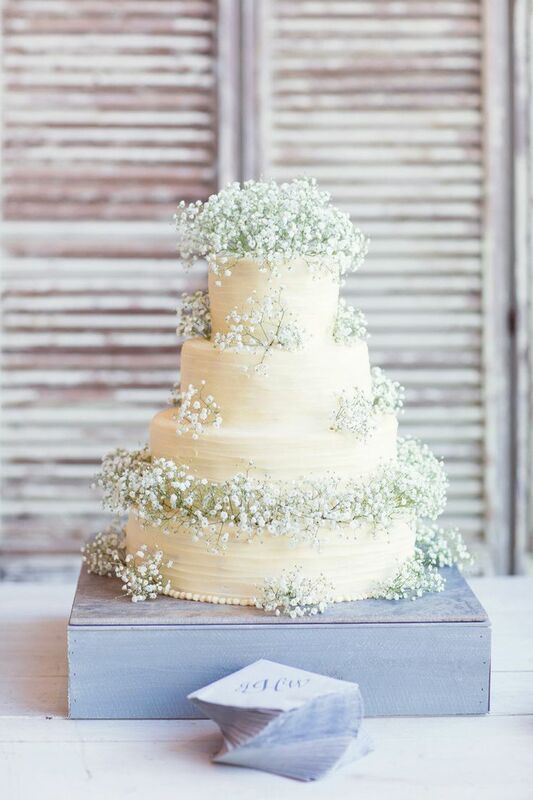 This natural-looking alternative to the traditional heavily iced and decoratively covered with fondant cake you’re used to seeing. What’s different is you can see the outer edge of the cake itself. The benefit to that is that you can see the layers in between! 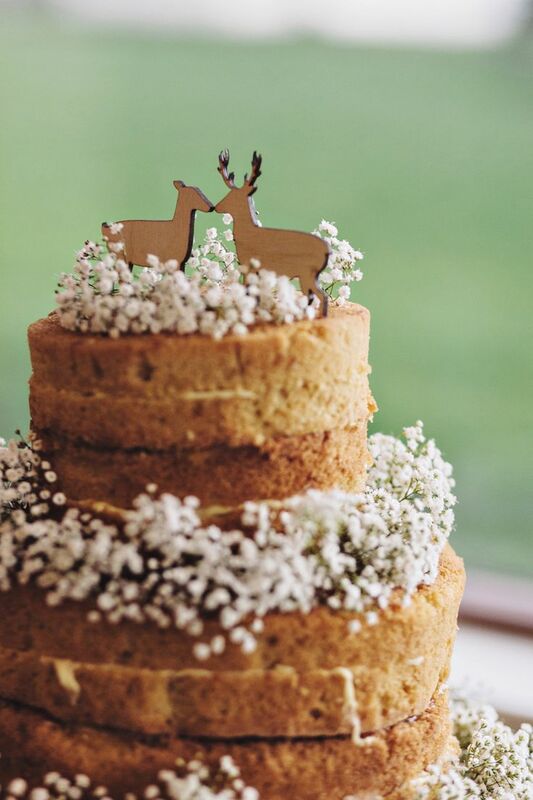 The naked cake has a naturally simple look to it. 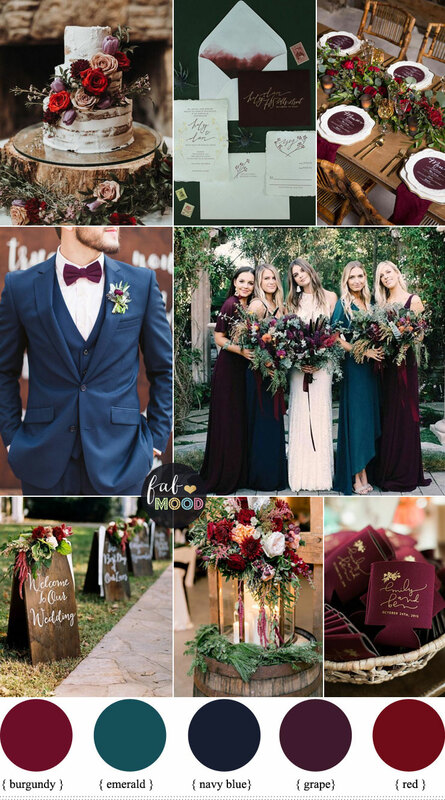 Since a wedding is set in an outdoor setting that might be a field or grassy surroundings it is important to make sure that this is neat and as groomed as possible. As you know outdoor are most often dark. You need lots of lights to bright up such as twinkle lights or string lighting throughout or hang small votive candles onto the vines. What a lovely and romantic look this gives. 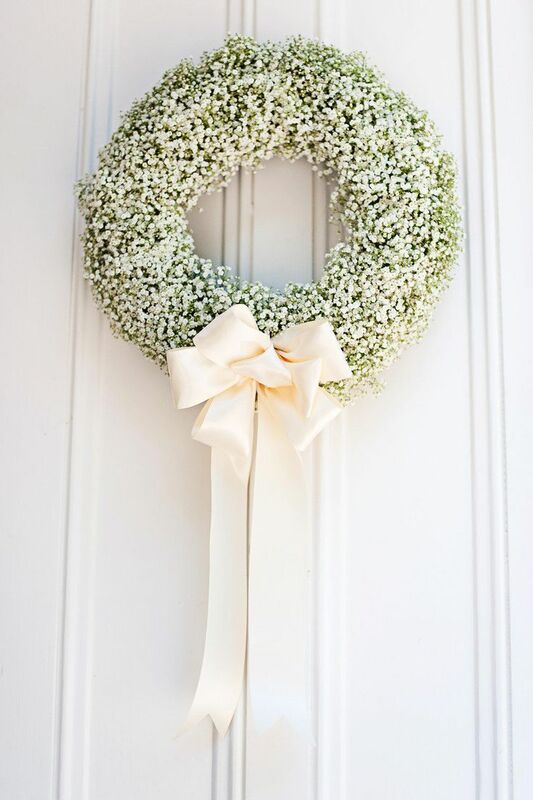 One of the most popular fillers for most all floral arrangements, baby’s breath is sweet, simple, budget-friendly, available year-round and adds softness where you need it. 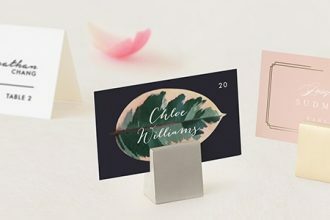 It is also perfect for creative DIY wedding projects. 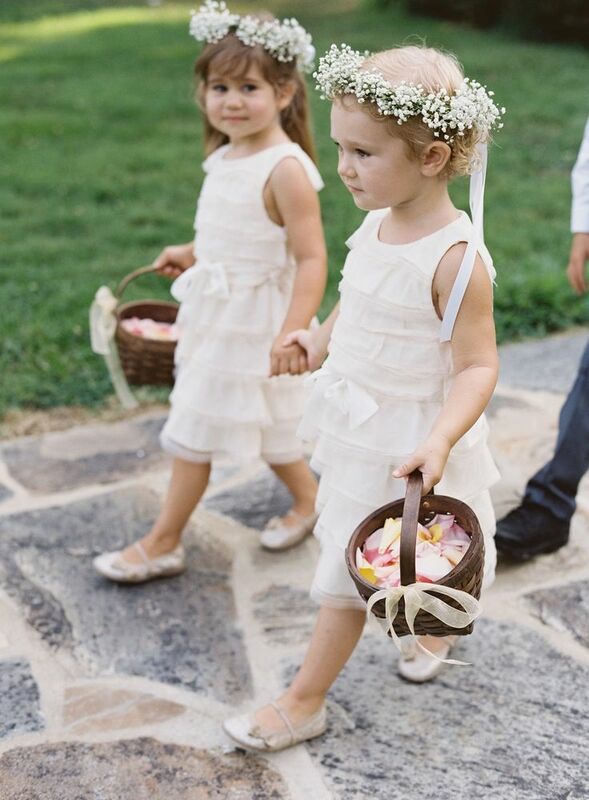 They’re not overly fragrant, so they won’t interfere with your other bouquet choices. 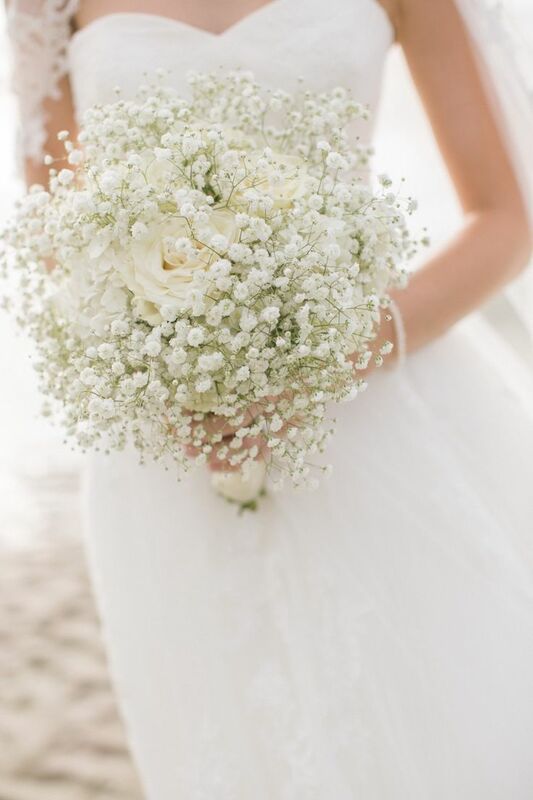 Baby’s Breath is a traditional floral element in all kinds of weddings, If you are planning a budget rustic wedding you should consider using baby’s breath. 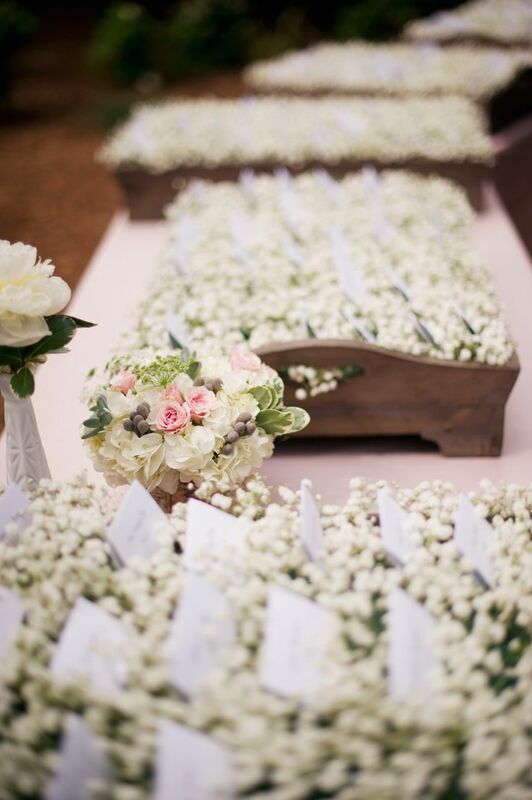 Here’re some gorgeous Baby’s breath wedding design ideas. 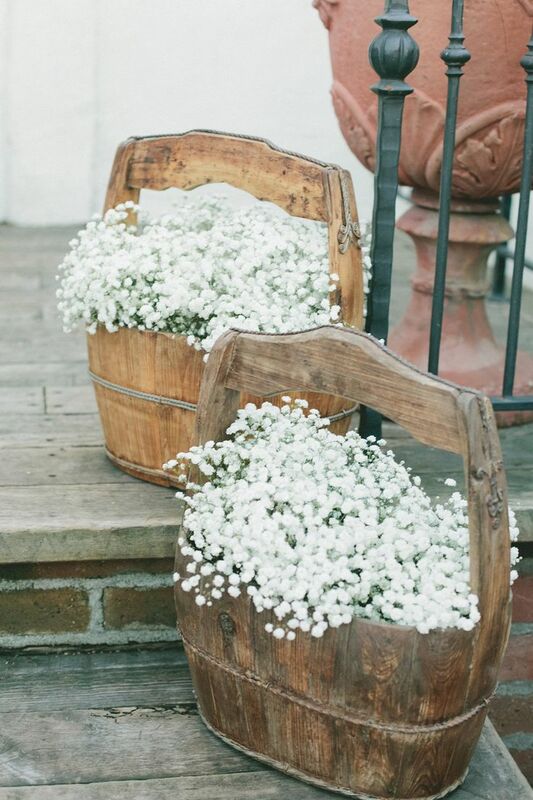 Baby’s breath in wood barrels ligning the aisle. The great news about today’s weddings is that almost anything goes! If you enjoy conventional customs and wish to stick with the old traditions, then you have a lot to choose from! 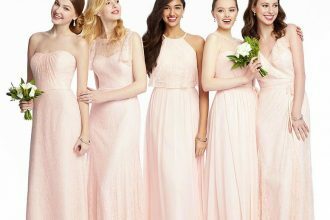 Whether it is your bouquet, your dress, your ceremony proceedings, or how you celebrate at your reception. 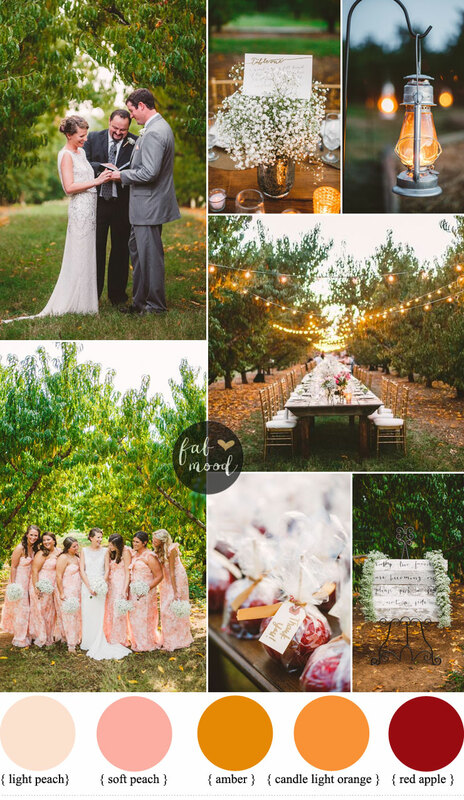 Love this cozy wedding and Idea married in Peach Orchard was awesome! 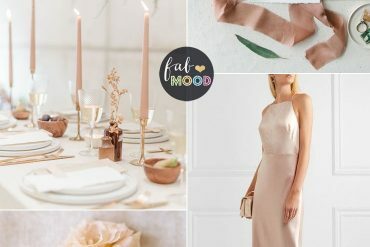 I love how elegant this wedding theme is! 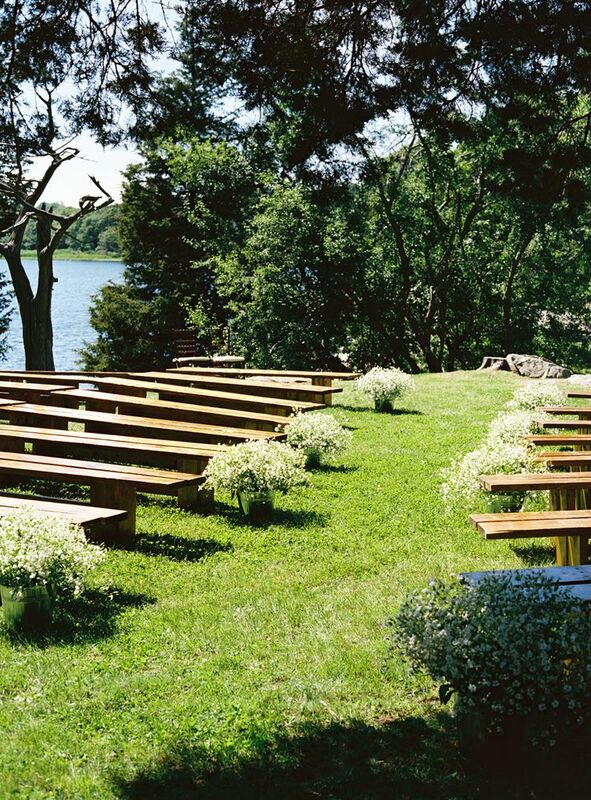 A beautiful location for a civil ceremony.